OK, this was yet another fast fast turn, but we were able to crank out a bunch of stuff for RLI – Renaissance Language Instruction. 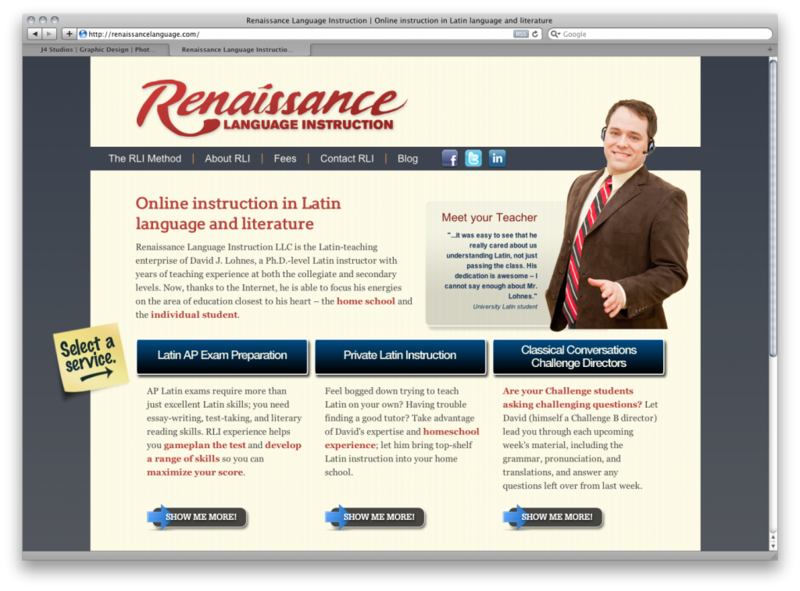 RLI is an online latin instruction business that’s starting up here in Greenville. They’ll be at a large convention, so we quickly whipped up an identity, site, brochures, business cards and signage in just a few weeks.